Open App Signer and double Click to Run Program. 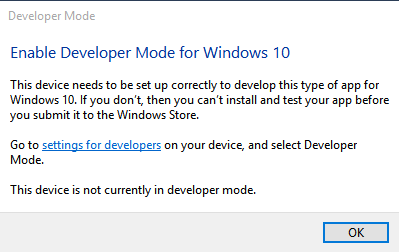 If you are prompted with the below error, enable developer mode through the link to your computer settings. 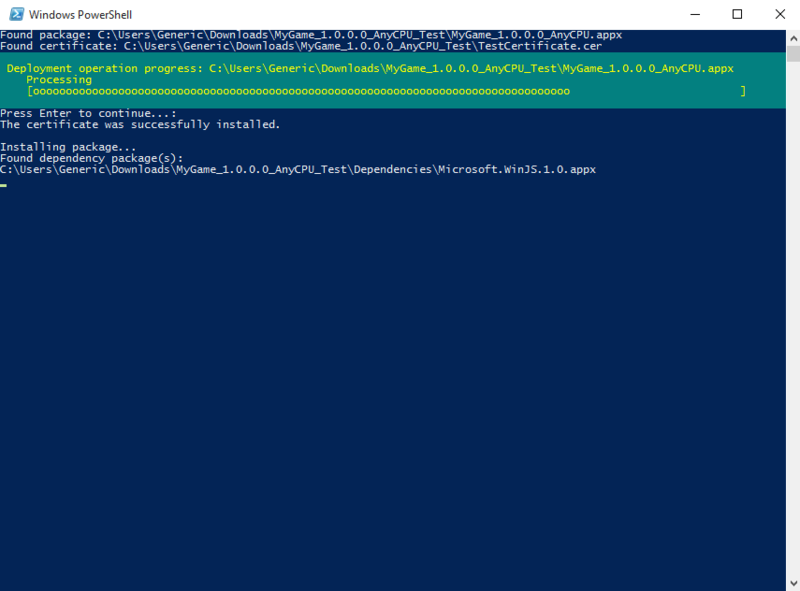 Find your App Path ‐ Browse to the published APPX file that you desire to signPublisher ID ‐ This is the Publisher ID that was used during publishing. Key Name ‐ This can be anything that you desire. Ideal use case is to enter in the name of the Application without spaces. Follow the prompts to generate and enter a password for your key. 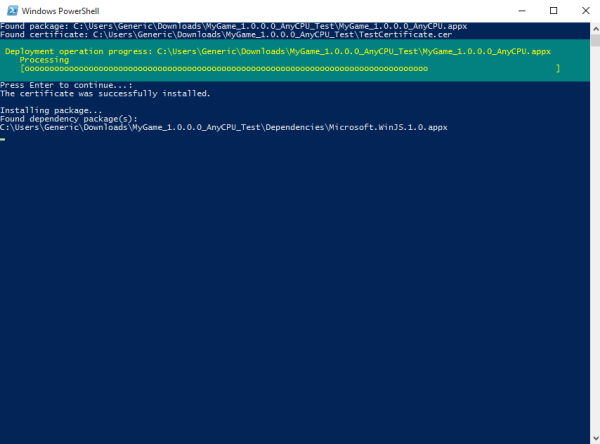 Once PowerShell finishes, go to the Start screen and you should see your app’s tile. Click it to launch the game.